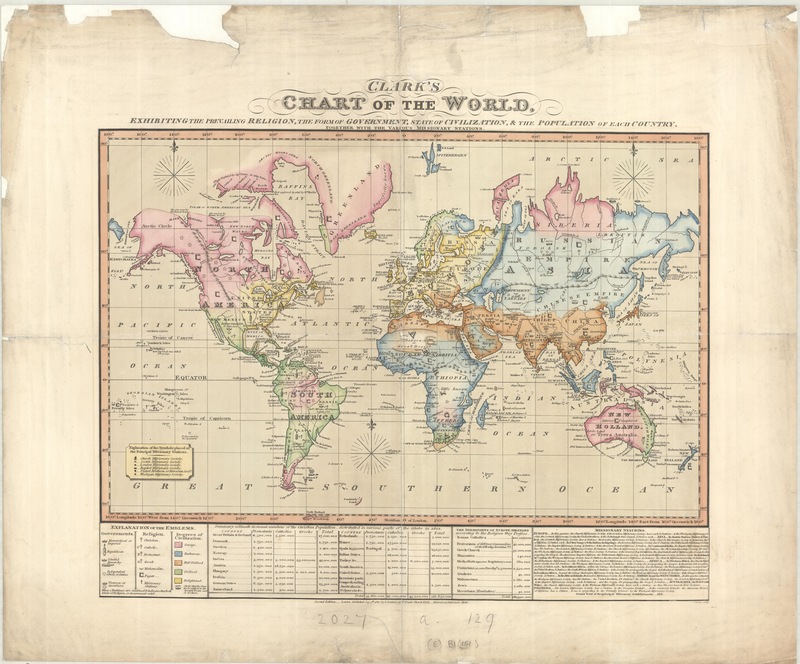 This population map of the Saxony region of Germany is a recent addition to the map collection. Volksdichte-Schichtenkarte des Königreiches Sachsen nach der Zählung vom 1. 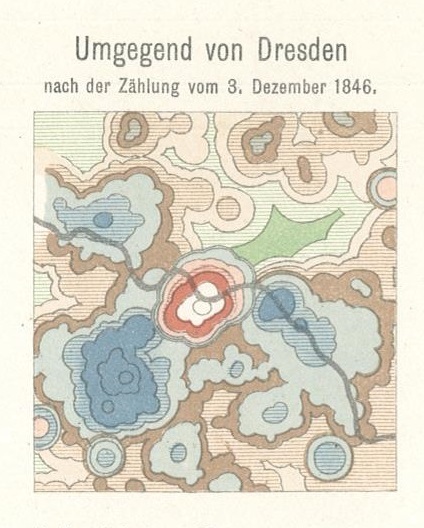 Dezember 1900 (Population density layers map of the Kingdom of Saxony after the census of December 1, 1900) shows density of population by colour with two insets for the areas around Dresden and Leipzig from an earlier 1846 census. But at the same time different ways to portray population figures were being introduced. 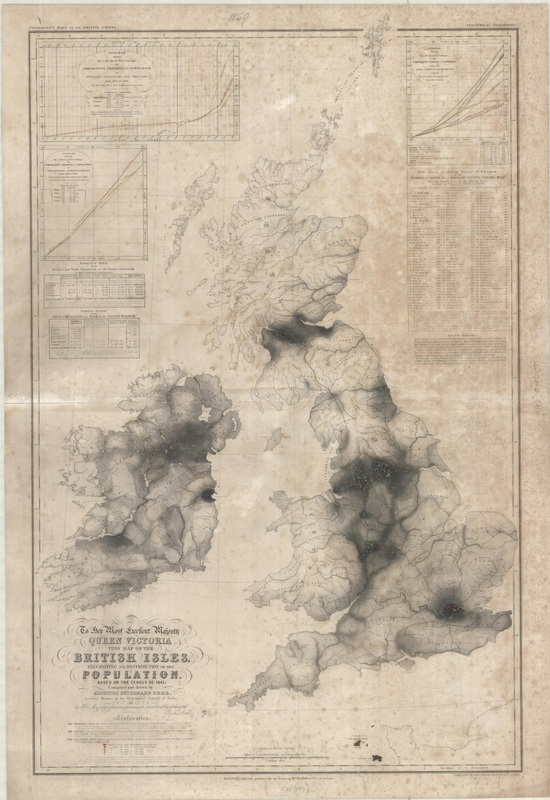 This map, from 1849, shows the population of Britain based on figures from the 1841 census by using dots to show sizes of cities, towns and villages as well as shading to show general population density. 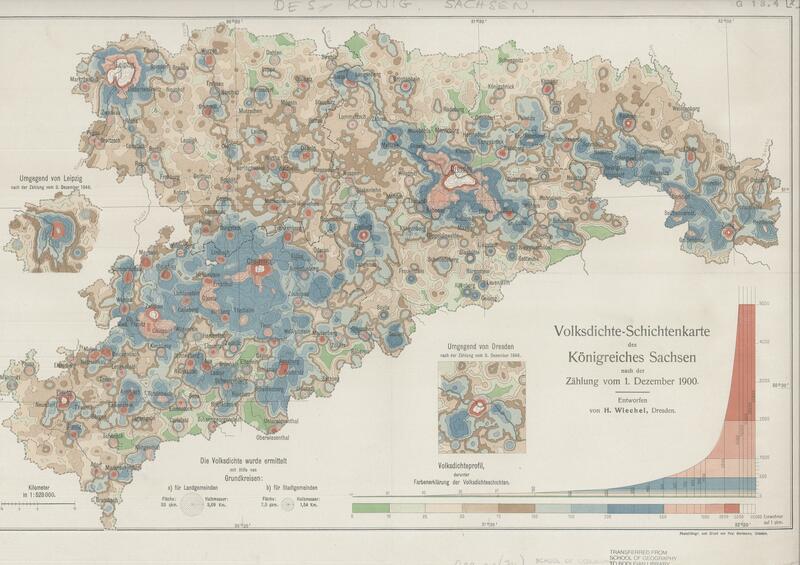 Our original map of Saxony uses a technique called isopleth to show the density of population. Isopleth uses lines to show areas of equal value, the lines are similar to contours on a physical map and work on the same principle. The main advantage is that you can see at a glance the heavily populated areas by the colour ranges shown on the graph. That Saxony was, in 1900, a mainly rural area can be seen be the amount of green and brown cover shown. This entry was posted in Uncategorized on 28 May 2015 by stuart. This entry was posted in Uncategorized on 1 May 2015 by stuart.